Show your very elegant and sophisticated taste. Classy 100% polyester scarves. Trimmed with lace. 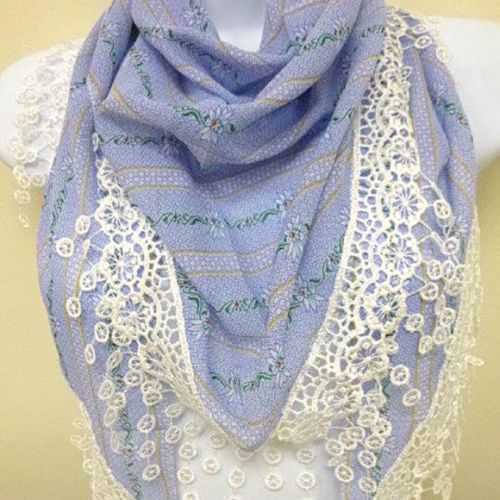 Edelweiss pattern, blue with white lace or gray with gray lace. Service Area: New Glarus, Beloit, Rockford, Middleton, Fort Atkinson, Roscoe, Monroe, Oregon WI, Platteville, Waunakee, De Forest and surrounding communities.